Why the upchuck? Monarchs feed on milkweeds, plants which contain chemicals called cardiac glycosides that the insects absorb. 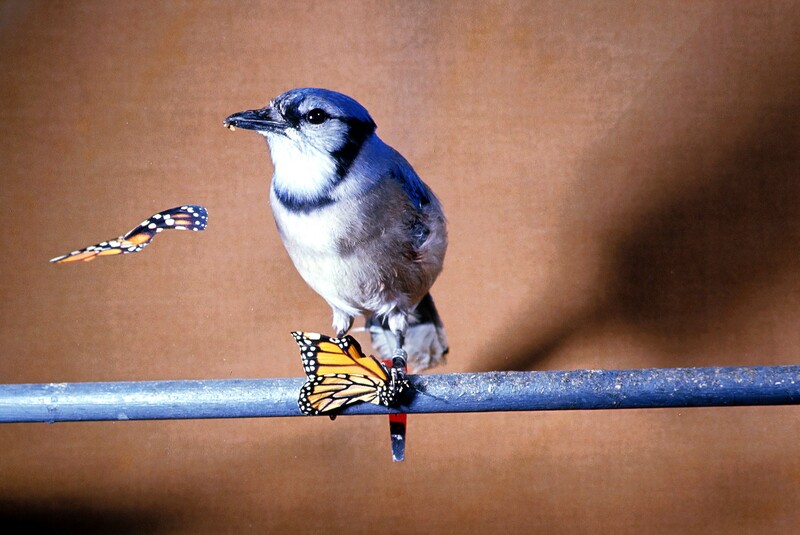 While the toxins don’t harm the butterflies, they taste bitter and can cause vomiting in birds that chow on monarchs. 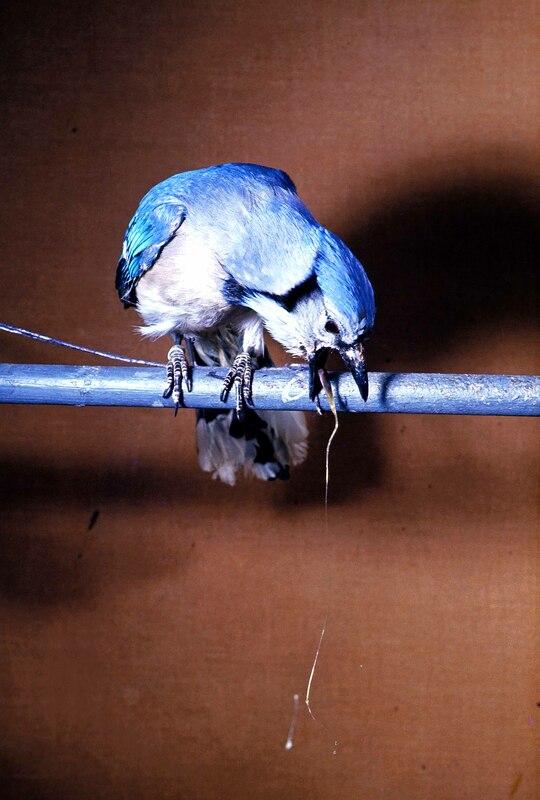 Some bird and mice predators, however, figure out a way around the poison—either by avoiding monarchs once they’ve had an unpleasant experience, or by pecking or nibbling at potential monarch meals to gauge the insect’s toxicity level. If the butterfly tastes “clean,” it’s dinner. People can help monarch butterflies by planting milkweed, a plant the insects rely on for breeding and feeding.